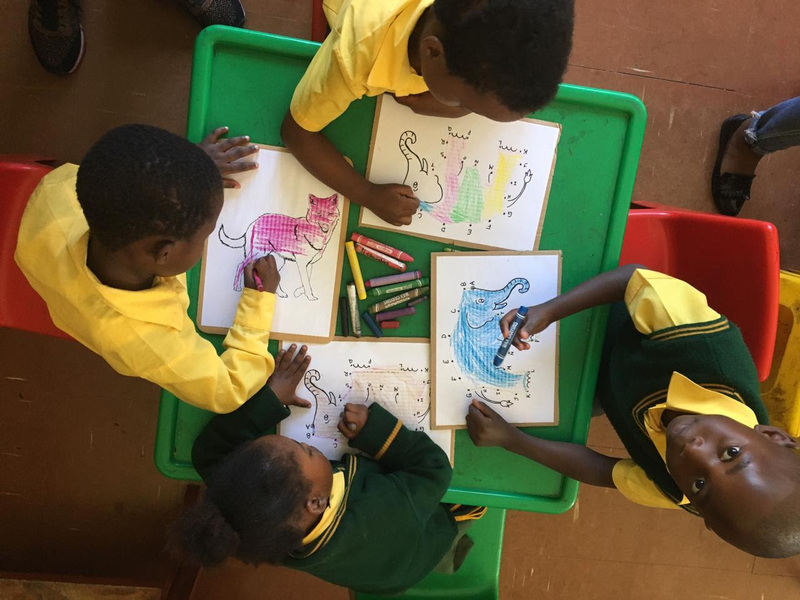 We were absolutely delighted to visit the Grade R classes at Intshinga Primary School in Gugulethu last week. 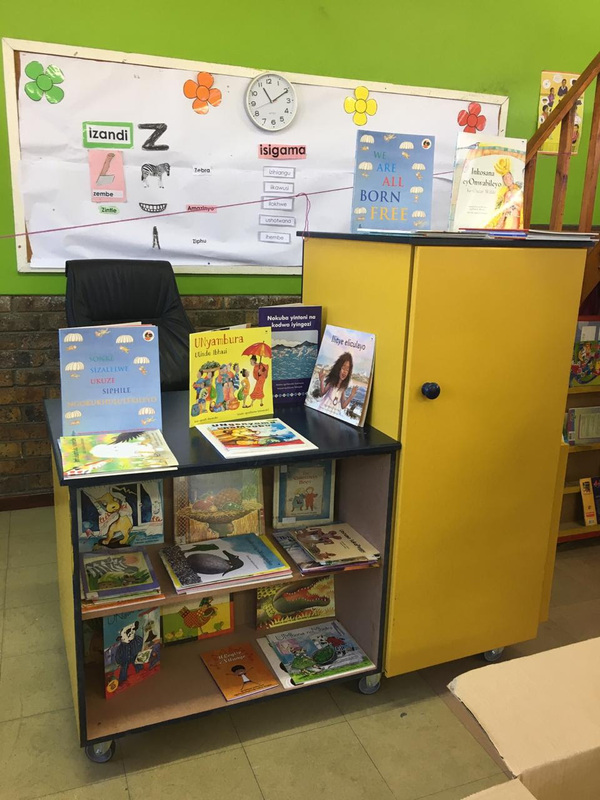 Intshinga is the focus school of the Open Book School Library Project, and together with the teachers, we have worked to stock the boxes with relevant titles, as well as with other resources that they need. 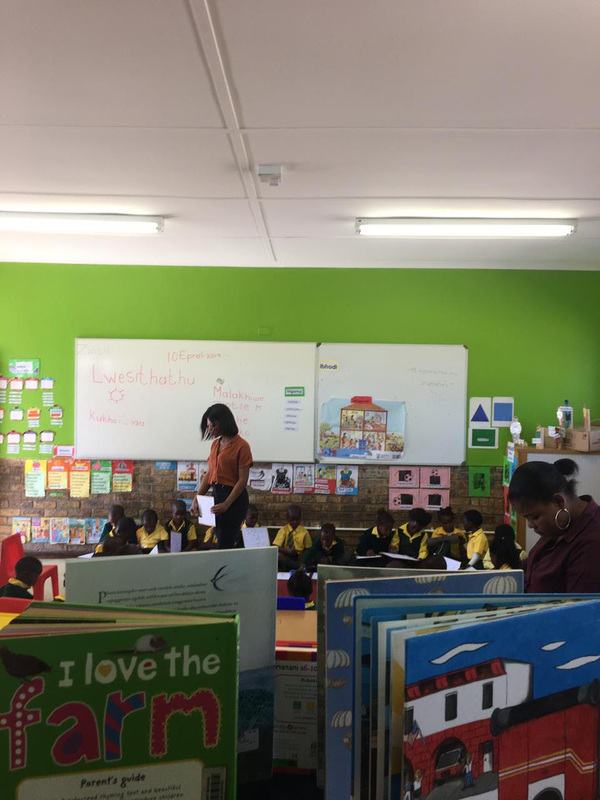 Book Lounge staff members, Lwandiso Ntanga and Unathi Mayekiso joined the learners for a storytime and activity session that formed part of the handover. Thanks to both of them for making this event so much fun! 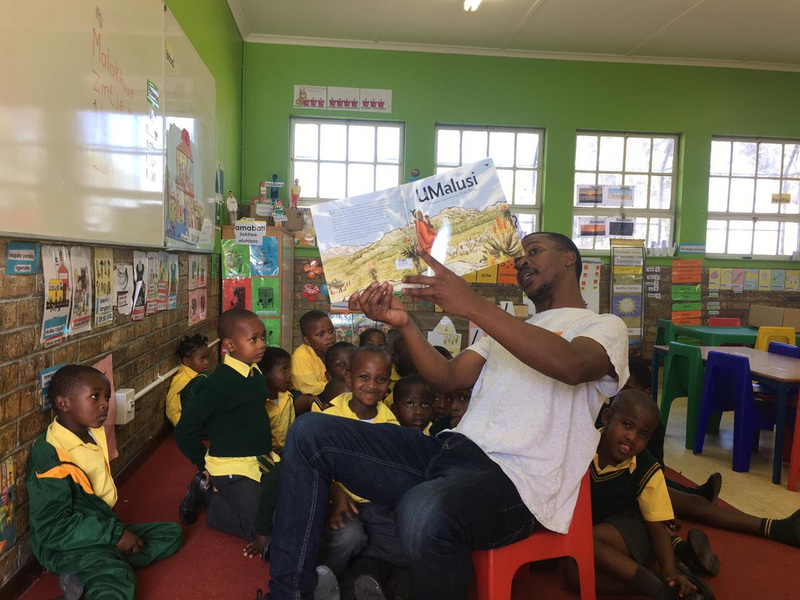 A particular thank you to Lwandiso, who has been working hard making sure all the events with the school run so smoothly as well as ensuring the books we include in the boxes are exactly what the teachers and learners are after. This project is made possible by so many people, including many of you who have genrously donated books and money to us! Thank you for the support. 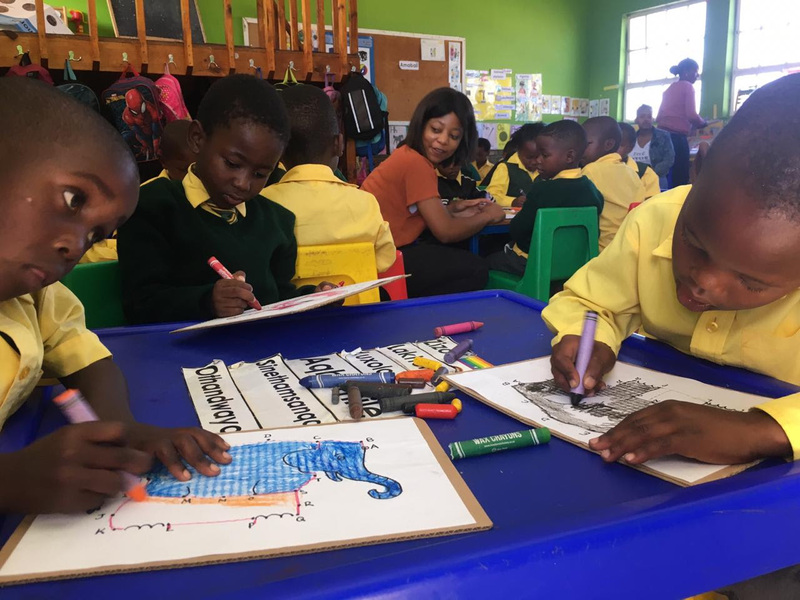 Our next event with the school is happening on the 16th of May where we will be handing over the remainder of the books. If anyone would like to donate, please get in touch with Frankie. If you would like any additional information about the project or the festival, please get in touch with Frankie.